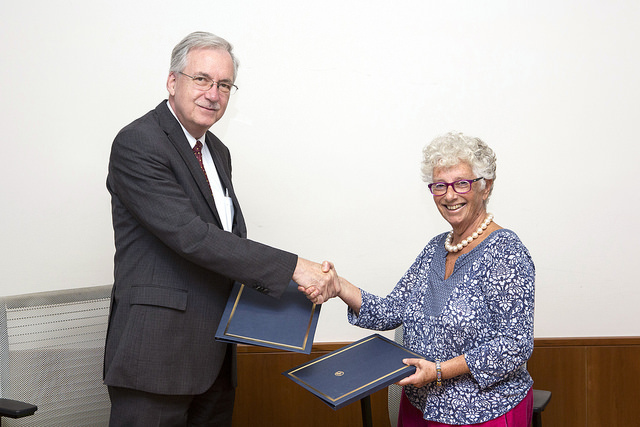 Memorandum of Understanding signed in Rome : Urgenci officially recognized as long-term partner by the Food and Agriculture Organization (FAO). 30 October 2017 will remain a singular moment in the history of Urgenci, the network of Community Supported Agriculture. 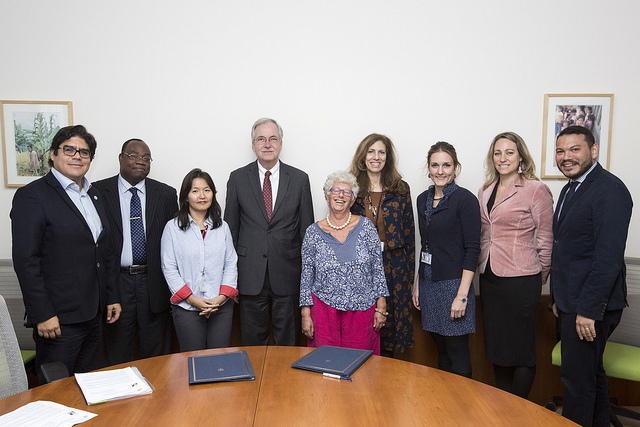 A 3-year Memorandum of Understanding was signed between the President of the International Committee, Judith Hitchman, and Daniel Gustafson, Deputy Director General, at the United Nations’ FAO headquarters in Rome. This is an important recognition for all the local and solidarity partnerships between consumers and producers, and for Urgenci as their legitimate representative organization. This recognition comes from the highest institution in the field of food and agriculture in the world (see there FAO’s PR). It is the result of many years of hard committed work on the field, at grassroots level, but also in various consultative spaces for civil society organizations, in the Civil Society Mechanism and the Committee for Food Security. It is also the result of key alliances built within the Nyeleni Food Sovereignty movement and the International Planning Committee. « Without all the collective work of network colleagues and friends in Urgenci and other social movements as well as within FAO, this would not have happened. I am feeling honoured and grateful to be able to serve our collective objectives of the right to food, food sovereignty and solidarity economy », declares Judith Hitchman. Yet, this Memorandum of Understanding is more than an achievement. It is also an ambitious plan for the years to come, and a signal sent through the FAO galaxy that Urgenci is a partner to trust. « This will open up many possibilities to work in all corners of the world and strengthen our networks, explains Isabel Alvarez, Advocacy Officer for Urgenci. It will also reinforce the collective agroecology and food sovereignty dimensions of our collective work with other social movements ». This signature is thus also and foremost the beginning of a new wave of projects and actions to consolidate our movement, to track our failures, to share our successes and to ultimately put into practice a new social contract between small-scale family farmers and the communities where they live.